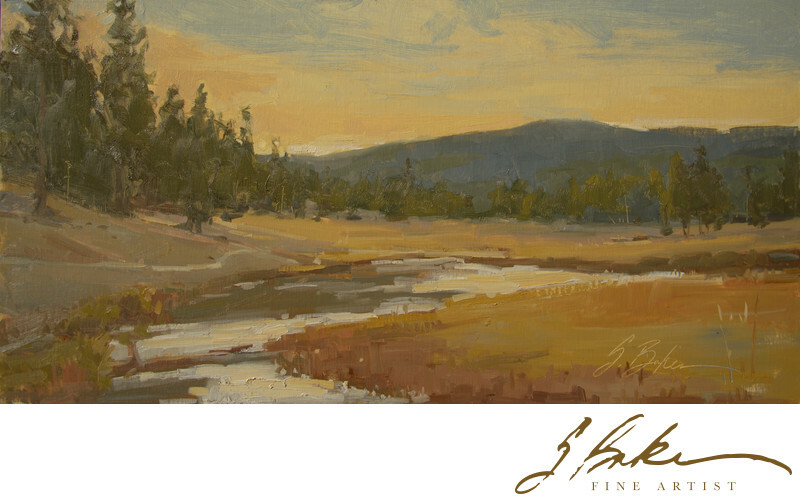 Painted en plein air during the inaugural Yellowstone Plein Air Invitational, on September 29, 2018. All the artists gathered at Madison Junction for a paint-out between 9-11am. This area of confluence of the Firehole and Gibbon Rivers is best known as the place where Yellowstone was born, where the idea of a national park "for the People's benefit" was conceived around a campfire during the Washburn, Doane and Langford exploration in 1870.